Riding Style – Go Hard! Likes – Ermm Bikes… Road Bikes, Mountain Bikes, Motorbikes… I like bikes! oh I also like coffee and cake. Billy started racing Motorcross from the age of fourteen, his successful seasons on the bike led him to win the NorthWest Junior Championship just four years later. After a few injuries and setbacks, Billy decided to rekindle his past Cycling career from school where he tried out for the British Cycling Talent Team, however he missed out on selection due to injury. Since then Billy has competed in Mountain Bike events, Cycle Cross events and now Road Racing. Last year Billy started his first Road Race season mainly doing CDNW events and Preston Arena Crit Races where he soon picked up his 2nd Cat licence. 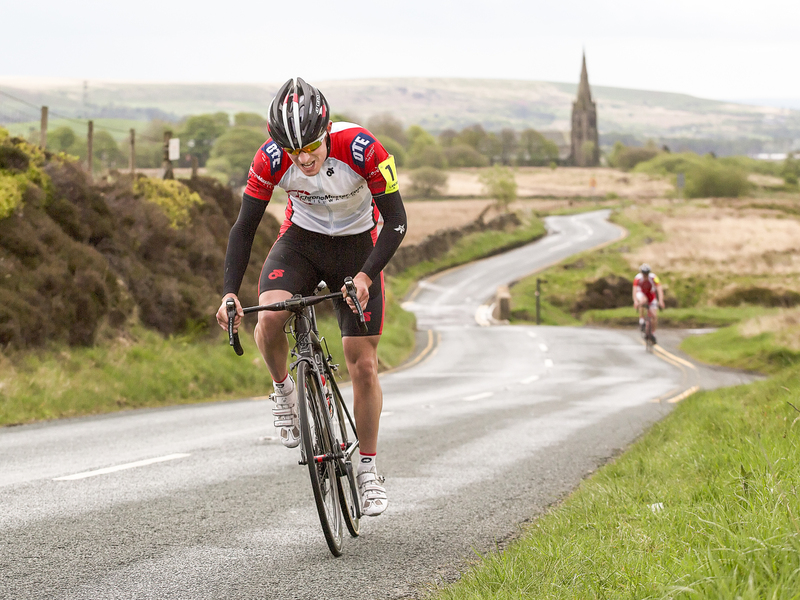 This year, with support from the Cyclehouse Rider Academy, Billy is hoping for another successful season. When Billy is not training or racing on the Road bike, he’s out having a laugh on his mountain bike with the Northern Collective lads or hard at work at Railway Motors Clutch Specialists.